Hi readers, today might be a funny day of publishing. We’ll try to get a few stories out, but we’ll also be keeping a live blog of the buzz happening here in Riga at Tech Chill Baltics. We’ll be updating this post during the day, so be sure to check back. 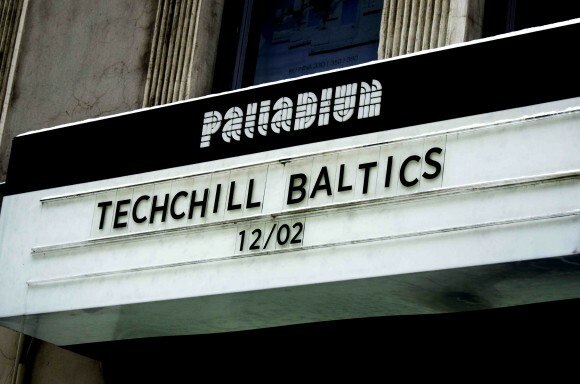 If you’re even hungrier for updates, you can still follow the talks live streamed at the Tech Chill Baltics website. We covered a full day of TC Baltics, check everything out below. Lots of local beer, sauna, and Kinnect games are to come… but it’s probably best if we don’t cover it. Man, this is a speed round. Lots of info packed into three minute pitches. Up first, FrendApp. They tackle the problem of app discovery and mobile statistics regarding app usage. It enables users to see what apps your friends use, and then aggregates statistics on apps. Does give you control about what apps you share. Needs to get 10 million users to be statistically significant? Will sell ads and app statistics. Spherico tries to get the pieces of stories together that are shared on social media. Mobile app for storytelling – built around story not the platform. Can tell story together with others. Creates, hosts, shares, and publish to blogging platforms. See the TCbaltics story here. The next company presenting is FROONT, responsive design prototyping for designers. Beta will be launched any day now. Their website is cool to resize, kind of neat to check out. Fastr is designed to bring speed reading to an iPad app by training memory, vision, and attention. It basically takes a book and breaks it into chunks so only a few words are on screen at a time. They claim this is a proven speed reading method. Now has 37,000 users. Last up is Bliu Bliu. 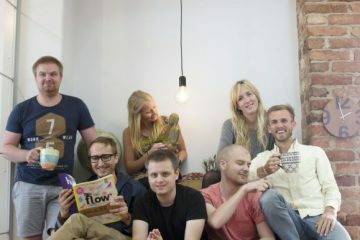 They’re a language learning startup that sounds pretty interesting. They find content on the internet for Youtube, newspapers, etc. that is on your vocabulary level. Shows video from the internet that you can understand. If there is only a few words you don’t know, then the learning curve is gentle. 30 day free trial, then small membership fee. What do you do when all hope fails and you lose an investor, bank backup, customers and you don’t have any products to sell? Well, you are in a tough situation, but what do you do if your product is beer in a slump of an economy. Valmiermuiža, the local beer startup, decided to pivot and improvize. They started charging money for brewery tourism, did market research by making customers vote on the best products, created beer ice-cream, beer spa, special beer for drinking during theatre performances and much more. They even made beer cookies out of basically residue materials that were previously given to cows as food. Result? A lot of beer, customers, investors and bank backing. Holmes talked through the Porter five forces towards investment and startups, which was a fun exercise to take a look at start-ups and entrepreneurs as buyers of investment. Holmes mentioned that startups need less and less capital in order to test their concepts and launch and because there are a lot of alternatives available such as accelerators, crowdfunding, angel investment. This gives entrepreneur a lot of power and choice in terms of where to get the investment. Perhaps a little counter-intuitively, Holmes also argued that you don’t need any salesforce on payroll. Instead you should consider focusing all efforts towards your product. He also identified Social Media, SaaS and Gaming as the main areas that companies can focus on in the Arcticstartup region. The talk concentrated on the fact that you need to try to take the big companies apart and negotiate with them piece by piece. In order to do so, Weiss argues that you need to utilize power, information and time/timing. There were some very good points in the presentation such as the focus on preparation and background checking as opposes to trying to go for the sale all the time. Whoa, that was a great ride on the wave. Hopefully there will be a recording of this and you will have the chance to check it out. The talk focused on how we live in a mobile decade and moving towards the decade of the internet of things. We are happy that we called it first a week ago. Back in the day there was one phone to many people, but we have moved towards a one-to-one relationship. Mobile phone penetration is bigger than that of electricity or drinking water. 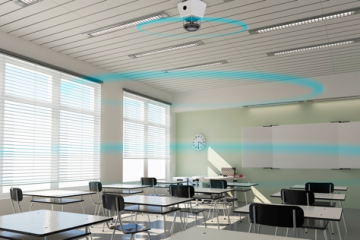 The world is connected and the next step will be for all devices to also connect to the internet. Information is also widely available, with fishermen calling each other to check the market supply, customers knowing the world price levels and being able to get attention of the millions if they are treated badly. All of this is allowing for a much better, interconnected economy that is ripe for disruption. First topic is how to survive hackathons. From the conversation it was clear that its a bit of a marathon, but you will keep going just because of all the buzz around you. Some concerns that the panelists talked about included the difficulties of keeping the team together, splitting shares, keeping up the hard work and actually transforming a hacked together idea into a startup company. It takes one or two active members to drive the whole team to stay together after event. Still, many people either leave or are asked to leave some time after the hackathon and there might be some conflicts around that. Garage48’s advice is to split shares equally at the start and adjust at a later stage. Sometimes people are compensateted for their weekends work and give up the shares and are happy about it. Its all about talking it out and making sure everyone is on the same level of understanding. How to find people after the hackathon? Apparently the best way is… wait for it… hire people. But of course you can offer shares and options to go along with it. Another great advice was to do extensive research on the people that will be attending and then try to get the best ones on your team. What are some of the benefits of attending hackathons? Its a kickstarter of sorts, but most people go to hackathons to network, learn new skills and try out ideas. It is interesting to note that according to the Garage48 survey, most people don’t go into the hackathon with an idea to make or join a startup, its about the experience. 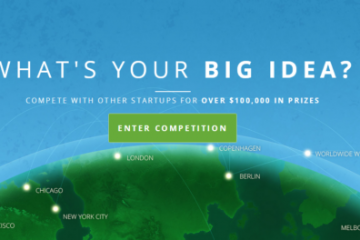 After the hackathon, when you start raising money, how often do you hear “no” from investors? One number we heard was: 60 no’s to one amazing yes. LinkedIn gives employees an entire day to build whatever they want once a month. They have an internal site where people can comment and vote on hacks, and eventually developers pitch to the entire company, American Idol style. The best ones they put on at LinkedInLabs.com. For one such example InMaps.linkedinlabs.com is supposed to be a cool one to check out. Dmitri’s fired it up next to me and is looking at a visualization of his Finland network, university network, etc. LinkedIn gives any employee a chance to spend 3 months at an in-house incubator [in]cubator (go figure). No one is assigned to these projects, these hackers have to convince people to join their team sort of like a startup. It’s kind of a cool initiative, it’s interesting to see how these giant tech companies try to keep up innovation and stay close to their roots. The event got off to a late start, but to no fault of Tech Chill. The conference is held at Palliadium Hall – more of a concert venue – and apparently a pop singer was unexpectedly rehearsing until 5:00 AM this morning. After a short intro, Andreas Ehn is onstage talking about his experiences as the CTO of Spotify and now at Wrapp. Ehn drills down to why we’re in a new era of tech startups from a developer’s perspective. First is that now developers are finding proper mobile operating system where the standard stack handles the simple things that developers once had to build ourselves over and over again. Secondly, Facebook makes it easy to find your friends – which makes it dead simple for users to interact in social apps. The downside is that Facebook carries its own network risk – they could potentially re-create your product into their system. Spotify and Wrapp are very social products, so I imagine this has been a risk clearly on his mind. In the question session, Ehn was asked why he decided to move from Spotify to Wrapp. Said he felt he was successful in pushing the product in the direction of being the infrastructure of music on the internet – something that is now evident with Spotify Apps. Previous ArticleDid Rovio Do $2.4 Billion In Revenue In 2012? 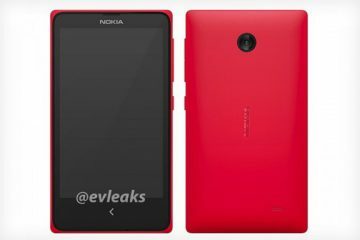 Nokia's Android Phone Launch Live from MWC?